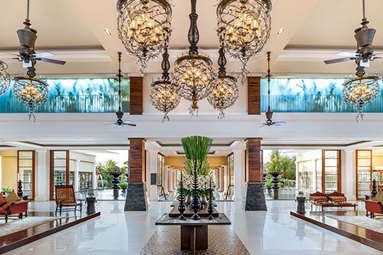 Unique beachfront location with direct access to the pristine beach of Nusa Dua. 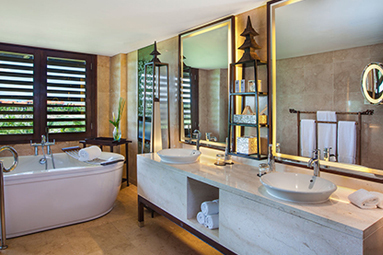 The beachfront “Strand Villa” and “Strand Residence” offer direct access to the private beach from their gates, complete with dedicated sun beds, the only resort in Nusa Dua offering this privilege. The resort is a suites-and-villas-only resort (123 rooms); spread on 9 hectares of lush tropical gardens and 3,668 sqm swimmable salt-water lagoon. 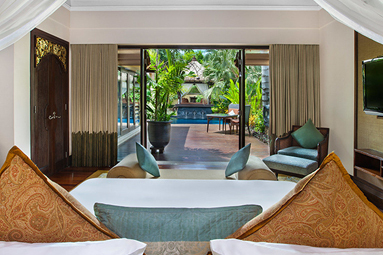 Room rates include a lavish daily breakfast at signature restaurant Boneka. 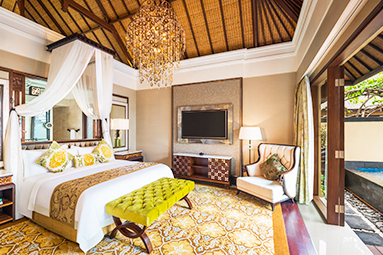 24-hour on call St. Regis Butler service includes unpacking & packing services upon request, complimentary light pressing of 2 pcs per person per day, coffee and unlimited supply of still mineral water in all suites and villas. Remède Spa offering holistic treatments and 24/7 fitness center. A Children’s Learning Center (Kids Club) allowing younger guests to enjoy a true St. Regis experience. Complimentary high-speed broadband/Wi-Fi in all rooms as well as complimentary Wi-Fi throughout the resort. Luxurious bathroom amenities by Remède. 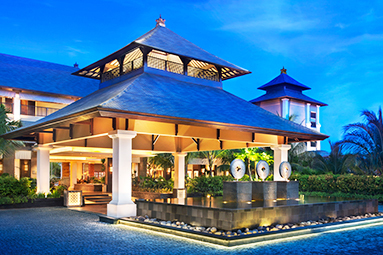 Unique beachfront location with direct access to the pristine beaches of Nusa Dua. 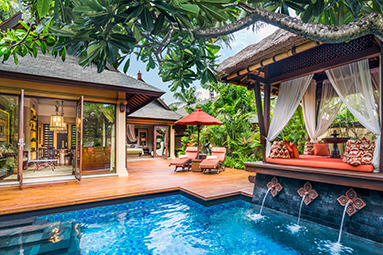 The resort is a suites-and-villas-only resort (123 rooms); spread on 9 hectares of lush tropical gardens and a 3,668 sqm swimmable salt-water lagoon. 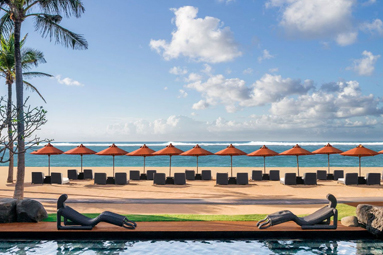 The beachfront “Strand Villa” and “Strand Residence” offer direct access to the private beach from their gates, complete with dedicated sun beds – the only resort in Nusa Dua offering this privilege. 24-hour, on-call St. Regis Butler service includes unpacking & packing services upon request, complimentary light pressing of 2 pcs per person per day, coffee and unlimited supply of still mineral water in all suites and villas.